Here in Northern VA, it’s that time of year when people really don’t know how to dress for the day. It’s 40° in the morning and a comfortable 75° by mid-afternoon. I see the ones who still insist flip-flops are perfectly fine – they’re in total denial of the cold that is slowly creeping in (my husband is solidly in this group but that is another story entirely). Meanwhile, I’m over here happily wearing my boots and scarves every day. In spite of my Southern upbringing, I love the cooler weather and cannot wait to be snowed in over the coming months with nothing to do but craft, watch movies, and make soup. You can have this hearty bowl of deliciousness on the table in 30 minutes, easy. Serve on it’s own or with your favorite toppings – we like to add a little sharp Cheddar and sliced jalapeños. Stretch the serving amounts by spooning over rice or corn chips. In a medium-size pot, heat olive oil over Medium heat. Add onion and sauté 1-2 minutes, until softened. Add garlic and cook an additional 1-2 minutes. Add Beyond Meat Beef Crumbles and continue coking until heated through, 3-5 minutes. 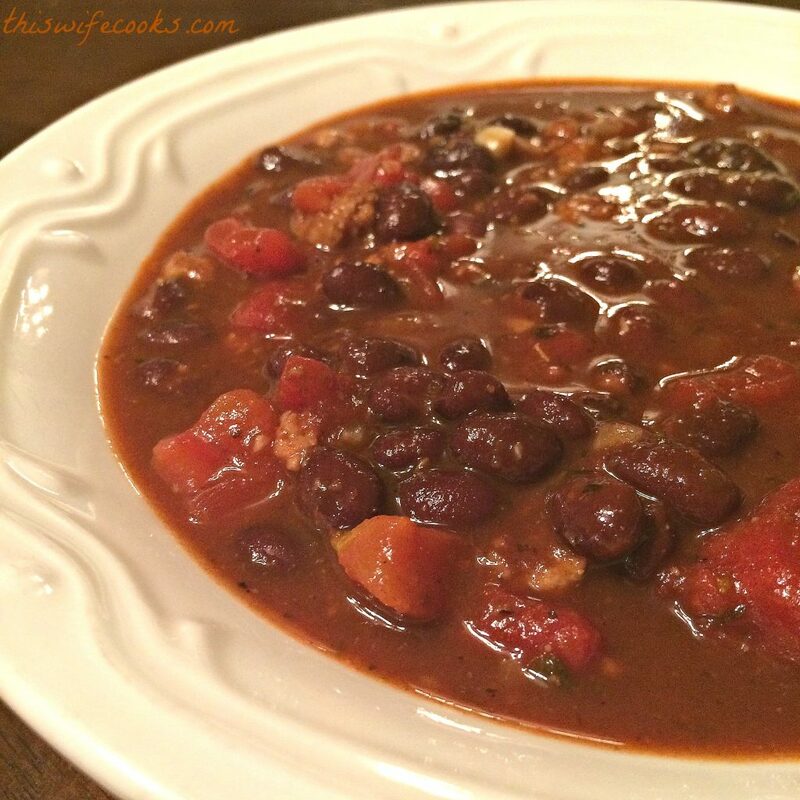 Blend in the black beans and tomatoes. Add the tomato paste, chili powder cumin, paprika, and oregano. Bring to a boil then reduce heat to Low. Simmer 10-15 minutes before serving.